Farmers in most parts of the country require healthy soils for their crops. For maximum production, the amount of acidity should be proportional for crops to yield effectively. Soil testing in many parts of the world is done for various reasons. The following are some of the basic reasons for carrying out such checks. 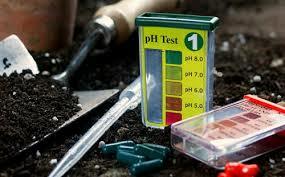 A test is done in order to give enough information about the nutrient content, composition and other characteristics such as the acidity or pH level of soils in a given locality. This helps to identify the type of soils that may be contaminated and unsuitable for growing crops. People specializing in this agricultural process have a task sample soils from different localities and advise farmers accordingly. It is important to carry out all form of experiments to a sample of soils in a given area. This should range from its pH, nutrient contents, and also the amount of toxic substances that may be present in the soils. This helps in advising farmers on how to improve any possible contamination or deficiency. To retain the soils in a fertile state, it requires one to follow instructions from the scientists keenly. Some of the laboratories can advise on toxic substances that could be present in the soils. The experts in these laboratories advise the farmers on the type of crops they should grow that are not likely to absorb these toxic substances. Some toxic substances can take long before they get depleted from the soils. Therefore, experts can recommend farmers on the type of plants to grow that will help eliminate these harmful substances. After testing is done, farmers are capable of identifying the right amounts of fertilizer to apply to apply to their crops. They are also advised on the quantities to apply as well as the most helpful fertilizers to use. These fertilizers should supply the soils with the deficient mineral as well. Following instructions keenly can aid in boosting the production in the levels in the farm. Before setting up any structure for business, certain requirements ought to be met. Environment report is in most cases accompanied by a soil investigation report. These reports will help in giving a go ahead with the construction project. Whenever an area can be discovered to have some contaminated soil, cleaning must be done. The construction authority does not allow construction in areas where the ground has been contaminated. Environmental agencies also carry out soil investigation to know more about the environment. They carry out these tests to identify the pollution levels in the world. This help them to monitor the challenges that are likely to occur in future and advise accordingly. Food production relies mostly on healthy and productive soils. Therefore, whenever soils are contaminated, individuals must look for a solution towards cleaning it. Taking precaution against destroying the soil content is important. This is because it helps to maintain the animal life that can be present beneath the ground. Human beings majorly rely on agriculture and thus soil pollution should not be entertained at all.